Today we speak with Miranda Russell of Rite Publishing. 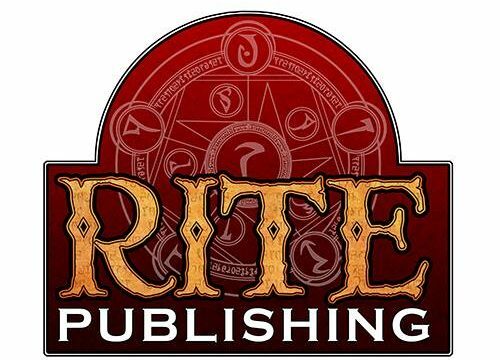 We’ve spoken with Rite Publishing before, however we spoke with then CEO Steve Russell. For those unaware, Steve was involved in a fatal car accident last year. His loss was a blow to the Pathfinder community, but obviously that does not compare to Miranda’s loss. We discuss the future of Rite Publishing and her decision to keep publishing after Steve’s accident. RC: Last year, you had to go through something most people regularly worry might happen to them. How did you get through it? This is something a lot of people ask me. I suppose I’d start by confessing I am not through it. I am not sure loss on such a level is something you ever get through. I think the best way I’ve found to describe it is it’s like having your legs amputated. You are never the same, you will always live with it, but you learn how to live with it. One of Steve’s favorite quotes was “Love with your whole heart and grieve with your entire soul”. To feel things deeply is a gift, but you don’t stop feeling everything else at the cost of one. The more common and equally true answer I give is that I started with making a choice and I felt as though I really only had two: Crumble or Thrive. My husband was a humble, generous, and loving man to name just a few of his aspects and I say this to say knowing him he’d want only the best for me and our daughter. So I started by making a choice and that was simply getting up out of bed, putting one foot in front of the other, and starting each day. I can’t even remember half of those days, but every day got better and knowing that I was honoring what my husband would have wanted made the task better. I also had our unborn daughter, Iris, to consider at that time and there are few things that are more motivational than wanting what is best for our children. Mostly though, it was a great support network that carries me through even to this day. I cannot convey the depth of my gratitude for the number of friends and family that rallied around us and continue to do so. The gaming industry as a whole is a special group of people filled with some of the most caring people I’ve ever had the honor to meet and they have been beyond supportive, generous, and gracious towards my family and I. To say I am grateful truly cannot convey the depth of feeling I have on the matter, so I can only continue to articulate how thankful I am for all the people in my life and the people that have reached out. RC: Why did you decide to take over as CEO of Rite Publishing? Rite Publishing was a huge part of Steven’s life. It was his passion made manifest. For anyone that ever spoke with him, you need only a few minutes to know the truth of it. The way he’d light up or the enthusiasm in which he’d discussed it. He loved everything about gaming and the people he got to interact with as a result. He always commented on how lucky he was to get up and go do work that he loved (even when he had that annoying bookkeeping aspect to do). It really was a labor of love and a huge piece of his life. The idea of leaving things he’d started undone was beyond imaginable to me. I wanted to honor the life that he’d lived and finish the things he’d started. I had no idea how we’d make that happen, but I knew we had to. My only immediate intention for the company was to complete those things promised to our supporters. I consider myself very fortunate that we continue and are going to be able to continue to produce products. I couldn’t do it without the amazing patrons of our company or the Rite staff. RC: What is Rite Publishing all about? We often joke about our tag line “There is no wrong way to game, but there is a Rite way”, yet after all the joking is put aside that’s what it comes down to. We want to create innovative high quality games for people to enjoy. Like Steve, we continue to do the research into what interests people have, talk to our talented freelancers and staff, and go from there into development plans. RC: What was your involvement with Rite Publishing before taking over as CEO? Prior to taking over the company, my role was somewhat limited in terms of any official capacity. I did freelance writing on various projects, served as a business advisor on marketing and sales, and was a constant sounding board for new projects or on helping to determine the direction of existing projects. RC: Steve was integral to the third party publisher scene, and an exceptional workhorse. How have you managed to fill his big shoes? Steve was the creative genius behind Rite Publishing and I don’t think anyone could ever fill his shoes. I often think of that picture of a little kid stepping into their parent’s shoes that are clearly too big to wear. I am just trying not to trip and fall while I grow into them a bit better. It isn’t one person that fills the void he left, but an entire team. 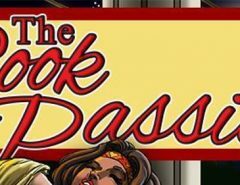 Kit Kindred and Perry Grosshans really stepped up in their roles on the development of Lords of Gossamer and Shadow (our Diceless gaming system). Dave Paul, Bill Collins, Robert Emerson, Wendall Roy, and Andrew Betts are big contributors to our success in keeping the company thriving. And of course, I’d like to give special mention to Owen K.C. Stephens who has come on as a project manager, Lj Stephens who accepted a role as our art director, and Dan Dillon who most recently joined our team as a developer of our 5e Line. RC: What do you think Steve’s legacy in the industry will be? Steve was a man that always wanted to take a chance on people and sought out the best in them. He wanted the people around him to succeed no matter who they were. He’d often say “All boats rise with the tide” and believed that the success of any 3PP was a win for everyone. That’s the legacy he leaves behind, the inspiration to cultivate the next generation of writers and artists while supporting one another in achieving our dreams. RC: What three Pathfinder compatible products embody Rite Publishing’s mission statement, and how? The products that best embody Rite Publishing are The Breaking of Forstor Nagar, The Book of Monster Templates, and 1001 Spells. by ENnie award winning game designer Ben McFarland that allows PCs to serve as a rescue team, making hard decision about who to save and who to leave behind. Because it is an entire city, you cannot save everyone. Then it has the amazing cartography of Jonathan Roberts who just finished up the poster maps for George R. R. Martina’s Lands of Ice and Fire. If you have seen the Minecraft version of King’s Landing, it’s based on Jonathan’s maps. It is also available for use with the free online virtual tabletop Maptools, and was designed specifically for that purpose. Finally, they are part of the Bits and Mortar program so if you can show proof of purchase (say your recipient from Amazon) or you buy it at a place like Paizo, you get the PDF and Maptool files as part of the gig. From a production standpoint, I love Breaking because I had nothing to do with it; its development was handled by Jonathan Roberts with the assistance of Ben McFarland. All I did was pay everyone and handle the marketing side of things. This is because I refuse to be a micromanager. You hire good people and you trust the fact that you hired good people (preferably people who are better than you are) and you trust them to do the job, or you fire them and hire better people. We have a number of projects like this and I love that they have all reached the level of quality I want and have been on time. 1001 Spells, this was a dream of mine, to make it so that a spell caster never had to cast the same spell twice. That GMs would always be able to surprise and create a sense of wonder in their players with an unknown spell, while not breaking the game. The Book of Monster Templates flavor text is written from the monsters’ points of view. This is something I love to do with our products, when it comes to game mechanics we are clean and concise, but our flavor is always from a unique point of view, immersive if you will. 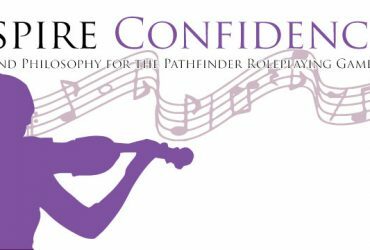 It is not fluff; it actually serves the game helping people role-play better by getting them into character so to speak, helping them with their willing suspense of disbelief in a fantasy world. RC: How has Rite Publishing separated itself from the other third party publishers? Transparency and Integrity. Rite Publishing has always been known for being open about our business model. We are also the first to admit when we make a mistake and are quick to try to make any needed corrections to make things right. We value our customer feedback and want our supporters to feel like they have a stake in the future of the company. 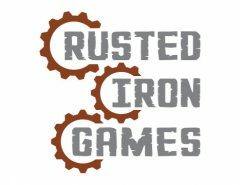 We create modular but non-generic products and strive to generate incredibly useful tools for both GM’s and players. The In the Company of Series written by a small pool of writers like Jonathan McAnulty, Wendall Roy, and Steven Russell has been exceptionally successful with both GM’s and players by allowing them to explore life as the creatures they love and love to hate. By appealing to both sides of the table and addressing creatures in a unique way we’ve been able to create a hallmark line. In fact, we just released our newest installment of this today, In the Company of Genies by T.H. Gulliver. We are also committed to continuing to bring the free e-zine Pathways where we offer free content every month. Back when you interviewed Steve originally, we were on issue 23. I’m proud to say that we just recently released issue 62 thanks to the support of our patrons on Patreon. We also have developed a solid release schedule for 2017 providing consistency, while not as ambitious as it has been we will be bringing new releases every month. We’ve done a great job at making a name for ourselves, but in an industry where there is so much content being constantly generated it is always a challenge to continue to rise above the fold and attain the attention of players and GM’s. It starts with hiring talented people and then investing in playtesting, editors, and proofreaders. 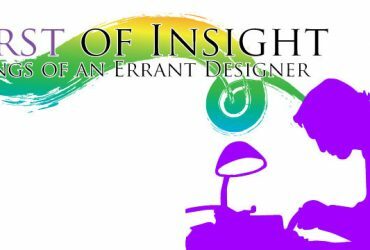 We’ve also invested in bringing on an art director to ensure the quality graphic design and layout. As I am stepping into this new role, I’ve also come to rely on the at times brutally honest feedback of quality reviewers like Endzeitgeist. I really love getting these reviews (especially when they 5 star), but even ones that aren’t. It gives me a lot of insight into what we are doing right and where are opportunities are. We take it seriously and make the improvements as soon as possible when it’s needed. It’s important to us to maintain the integrity and quality of Rite’s products.We also brought on several folks to assist in the development and review of final products. Set reasonable and realistic expectations for yourself and those that are working for you and buffer in a little wiggle room because life does happen. Be smart about budgets and keeping to it, which at times means telling your writers no. It’s always a challenge in that you don’t want to stifle creativity and you want to make the best product possible, but you have to balance it against the budget and making sure that the creative and business decisions find a happy medium together. We’ve found too that sometimes all those great ideas that didn’t make it into book one are excellent sequels! Experience is of course always one of the best places to start, because you can review their work as an estimation of what you can expect from them in the future. Recommendations from other freelances is another great place to start. Ultimately what we look for is someone’s enthusiasm for what they are doing, dependability in response and delivery of items on time, and receptiveness to feedback. Since I took it over, that has simply been being able to continue what Steve started and subsequently our first 5 star review. It really bolstered my confidence that we had the Rite people doing the Rite things. During the time I was supporting Steve in building the company, it’s when we got our first Ennie Nomination. Being able to be a part of creating something amazing that other people thought was amazing was just a real moment that made Steve and I feel really proud of what we’d done and reaffirmed that we were doing great things. RC: One day you wake up and all your goals for Rite Publishing have been met. What does that day look like, and where do you go from there? 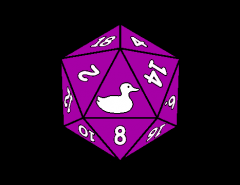 That day right now looks like having two solid full time project managers that are overseeing two releases a month for our PFRPG/5e lines and Lords of Gossamer and Shadow line. Eventually I’d like to be back to producing an item every week, but that’s going to take time to build back up to as Steve generated a lot of content himself. Previous Article Burst of Insight-Plot like a Villain, part one.